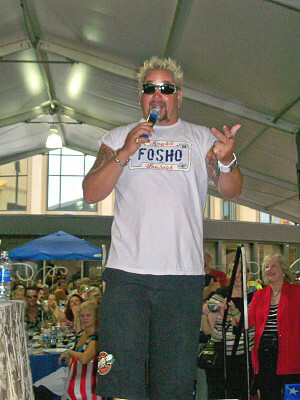 Hot off the Horseshoe Baltimore Casino’s e newsletter is the announcement that Food Network’s Guy Fieri is extending his name onto yet another location in the casino. Guy’s Bar-B-Que Joint will be located in the casino’s Baltimore Marketplace filling in a recently available location. Fieri, a National BBQ Hall of Famer, chef and restaurateur is breaking ground with his first BBQ joint where numerous items on the menu will be under $10. Along with his multiple restaurants he already has a full service restaurant at Baltimore’s Horseshoe Casino - Guy Fieri’s Baltimore Kitchen + Bar which is open daily for lunch, dinner and late night dining offering causal food like burgers and wings. Guy’s Bar-B-Que Joint –COMING SOON!